"I have the sadness to announce the death of my father, the count of Paris, this morning. I entrust him to your prayers." 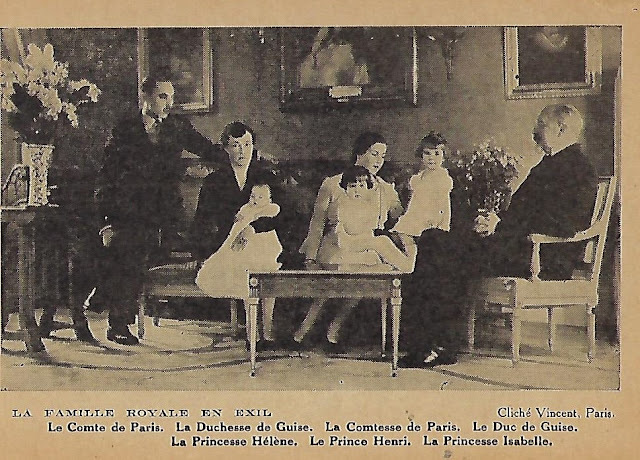 HRH The Count of Paris was 85 years old. He died at his Paris home. HRH Prince Henri Philippe Pierre Marie of Orléans was born at Wolwé-Saint Pierre in Belgium on June 14, 1933. 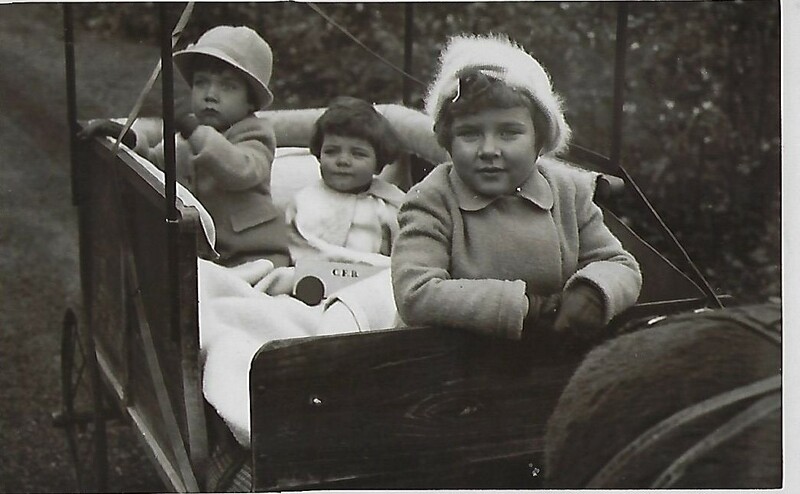 He was the second of eleven children of HRH Prince Henri Robert Ferdinand Marie Louis Philippe of Orléans, Count of Paris, and HRH Princess Isabelle Marie Amélie Louise Victoire Thérèse Jeanne of Orléans and Braganza. Henri was the heir to the French throne. The last King of France, Louis Philippe, abdicated in February 1848, in favor of his nine-year-old grandson, Prince Philippe, Count of Paris. Although France's National Assembly wanted to accept Philippe as the new King, the French people were against the establishment of a new king. The Second Republic was proclaimed on February 26, 1848. Louis Napoleon Bonaparte was elected President of the Republic in December 1848. Three years later, he proclaimed himself as President for Life. In 1852, Napoleon became Emperor as Napoleon III. The Count of Paris was the great-great-great-grandson of King Louise Philippe. Members of the former French royal house had lived in exile since 1886 when the then French government passed a law that forbade members of the royal houses to live or even visit France. This law was abrogated in 1950. Henri's father, Prince Henri, succeeded his father, HRH Prince Jean, Duke of Guise in August 1940, as head of the royal house. Prince Henri became dauphin, as the heir apparent. In 1957, his father gave him the title Count of Clermont. The young prince lived a peripatetic early as he spent his early years in several countries. His early childhood was spent in Belgium but after the outbreak of the second world war, Henri and his family moved to Rabat, Morocco. In 1946, the settled briefly in Pamplona, Spain, before moving to Sintra, Portugal, where the Count of Paris bought a farm, where his wife and daughters milked the cows and he and his sons tended sheep. After the Law of Exile was overturned, the Count of Paris and his family moved to France. It has been suggested that Henri's father and President Charles de Gaulle helped to arrange Henri's marriage to HRH Duchess Marie Therese of Württemberg in order to "help salve the bitterness" between Germany and France. De Gaulle described the wedding as "a great national event." He was a "royalist at heart," and he told the late Count of Paris that he supported the restoration of the monarchy. "You have three years to get ready: I will not run for a second term." But De Gaulle dashed the Count's hopes and dreams a decade later when he informed the Count that "France is not ready for royalty." The marriage took place on July 5, 1957. They would have five children before getting a divorce in 1984. The couple had long been estranged. In 1979, Henri's father gave an interview to the French magazine, Paris Match. He claimed that his five sons were "indifferent to their heritage and had no royal ambitions." The late Count of Paris said: "My eldest son lives in a way which I regret and which is perfectly idle. He has a charming wife and five children, two of whom are handicapped. I don't criticize him for living with someone else, but one does not abandon one's family, especially sick children." 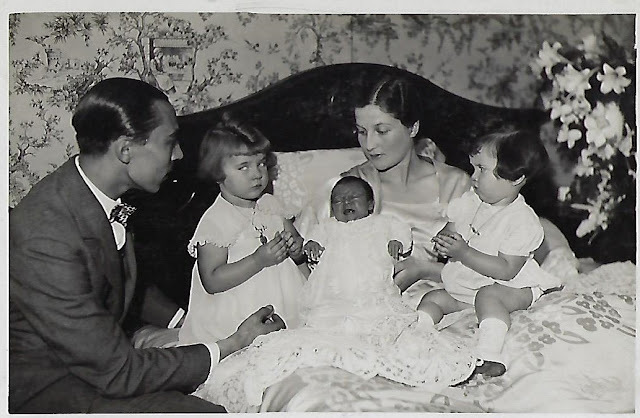 Henri's eldest son, Prince Francois, and second daughter, Princess Blanche, were born mentally handicapped as the Countess of Clermont had contracted toxoplasmosis during both pregnancies. The Count of Clermont was already involved with a Spanish aristocrat Micaela Cousiño y Quinones de Léon before his marriage was ended. When the Count of Clermont chose to marry Micaela in a civil marriage in October 1984 without his father's consent, Count of Paris, who had lived apart from his wife for many years due to his infidelities, issued a statement about his son's status due to his second marriage. The Count of Paris stripped his son of the title of Count of Clermont, stating that he would now be styled as Count of Mortain, a non-royal title. The younger Henri also lost his position as Dauphin. Family tensions continued. Henri learned of his eldest daughter, Marie's engagement to Prince Gundakar of Liechtenstein when he received a hand-delivered letter from his former wife, Princess Marie Therese, Duchess of Montpensier. Marie Therese had been given the ducal title by her father-in-law at time of her divorce. Marie, who had not seen her father in more than three years, also wrote to him with the news that he would be invited to the wedding. This marriage would cause further estrangement within the family. 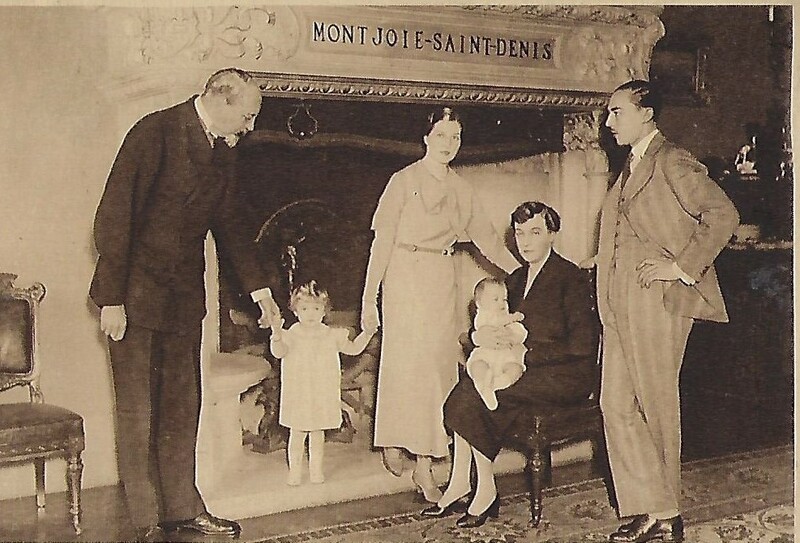 The Duchess of Montpensier sent out the invitations in her name only, openly choosing to exclude her former husband and her former father-in-law, who had given permission for the marriage. Shortly before the civil and religious weddings were to take place, Henri learned that he would not be giving his daughter away. This led to a joint statement from the Count of Paris and his son as both were angered by Marie's decision to marry at Friedrichshafen Castle, the home of her maternal grandparents, and not a Dreux. where French royal wedding usually -- but not always -- take place. Princess Marie told reporters: "It's the castle that I have been happiest and only there will I be married." The Count of Paris and Henri (who had never used the title Count of Mortain) decided to boycott the wedding celebrations. They were joined by all but one of Henri's siblings. Princess Diane, who was married to the Duchess of Montpensier's brother, the Duke of Württemberg, attended the wedding with her mother the Countess of Paris. It was not until March 1991 when the Count of Paris restored Henri's title, Count of Clermont, and his position as heir apparent. Micaela was given the title Princess of Joinville. The Count of Paris died on June 19, 1999. Henri succeeded as head of the family and assumed the title Count of Paris and Duke of France. His wife, Micaela, was styled as Duchess of France until after the death of Henri's mother, Isabelle, in July 2003. Before his death, the late Count of Paris told his children: "I will leave you nothing but hate." The Telegraph reported that the late Count "died in almost ostentatious poverty, at home in the poky suburban house he shared with his mistress, a former nurse." Henri inherited very little money from his father who had depleted the family fortune. In 1993, seven of the late Count of Paris' surviving nine children had taken him to court to prevent him from selling the family's silver. They also sought a court order to stop him from selling furniture and jewels, worth more than $3.6 million, at a Sotheby's auction. The new head of the house "swallowed his pride" by allowing his name to be used for commercial purposes, including the sale of several lines of perfume. "What did I inherit from my father? The memory of a few smiles," he told a reporter not long after the Count of Paris' death. The new Count of Paris, in an interview with the European Royal History Journal in 2001, discussed the legitimacy of his claim as head of the House of France. "We are the legitimate House of France, of that there is no doubt. I hold the moral power as head of my family and the representative of the monarchist tradition in France. The law of exile, for example, did not apply to our Spanish cousins, it was directed against us, the family which the French nation and political establishment accepted as the House of France. There are those who would like to manipulate this moral power for their own gain. Young Luis Alfonso has fallen victim to these people who are more interested in achieving political and financial power, than in the restoration of monarchy. These unscrupulous groups know they cannot manipulate me, hence they found another person to control." By 2003, the Count of Paris and his wife were living in a three-room apartment in Paris, surviving on a "meagre income, stemming mostly from his sponsorship of an aftershave and the sale of his watercolours." "At the dawn of the 21st century, although I am the eldest prince of the Orléans family, one of the richest families in Europe 40 years ago, and the heir to the dynasty of French kings, including the Sun King himself, I can hang my hat in none of the palaces or chateaux which belonged to my ancestors," he said in an interview, listing the Palais-Royal, the Hotel Matignon and the chateaux at Chantilly and Saint-Cloud as the former residences. "This list of our former possessions is now of no more than anecdotal interest. I live free of nostalgia in an ordinary little flat in a modern building in Paris, " Said in a 2003 interview. At age 70, he "developed belated political ambitions," and wanted to use his "hereditary role as a national leader." "It's my turn. The stage is lit for a shy man's one-man show. The tortoise may not catch the hare which has run off with the crown. Too about the gold and the jewels. But I will say what I have to say in my own way. What I see and understand from my unique position." That same year, France's high court banned Henri and his family from using the same Bourbon because "it had been abandoned by his family in the 17th century." The Court of Cessation confirmed a lower court ruling in 1999. Henri had "no proven legitimate interest in reclaiming possession of the name Bourbon." The court rulings noted that Henri's ancestor, Prince Philippe, Duke of Orléans (1640-1701), had dropped the Bourbon name. Henri's first marriage was annulled in 2009, which allowed he and Micaela to be married in a Roman Catholic ceremony in September 2009. The Count of Paris' daughter-in-law, Princess Philomena, Duchess of Vendome, said "He had a very beautiful death, a very dignified death. He was dressed to go to a mass in memory of King Louis XVI. He felt weak, sent a text of apology to the organizers of the ceremony." He is survived by his wife, Micaela, and four of his five children, HRH Princess Marie (Princess Gundakar of Liechtenstein), HRH Princess Blanche, HRH Prince Jean, Duke of Vendome, and HRH Prince Eudes, Duke of Angouleme and twelve grandchildren. Henri's eldest son, Prince Francois, died in December in 2017. 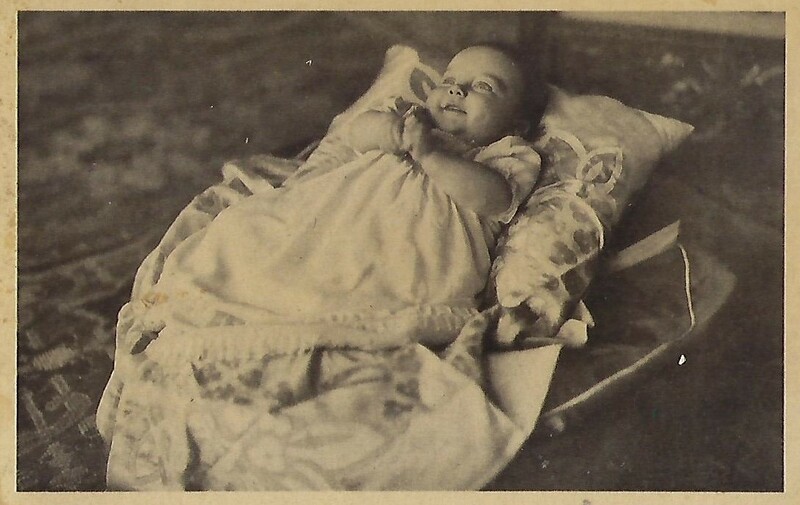 He is also survived by seven of his siblings: HRH Princess Isabelle, Countess of Schönborn-Buchheim, HRH Princess Helene, Countess of Limburg-Stirum, HRH Princess Anne, Dowager Duchess of Calabria, HRH Princess Diane, Duchess of Württemberg, HRH Prince Michael, Count of Everux, HRH Prince Jacques, Duke of Orléans, HRH Princess Claude, and HRH Princess Chantal, Baroness de Sambucy-Sorgue. The Duke of Vendome succeeds as head of the family. His eldest son, Prince Gaston, becomes the Dauphin, but the Duke of Vendome is not expected to adopt the Count of Paris title for several months. Funeral details have not been announced but it is expected that the late Count of Paris' funeral will take place in Dreux. "That same year, France's high court banned Henri and his family from using the same Bourbon because "it had been abandoned by his family in the 17th century." The Court of Cessation confirmed a lower court ruling in 1999. Henri had "no proven legitimate interest in reclaiming possession of the name Bourbon." The court rulings noted that Henri's ancestor, Prince Philippe, Duke of Orléans (1640-1701), had dropped the Bourbon name." What name did the court expect him to take? Orleans? Another question, when did the head of the House's primary title switch from Duke of Guise to Count of Paris? The Duke & Duchess of Orleans attended the wedding of Princess Marie of France & Prince Gundakar of Liechtenstein. Count of Paris is also a 19th century invention and only three out of five successive heads of the House have born the title. We’ll see what Jean d’Orléans, duc de Vendôme, decides for himself. And yes, the legal name of the family is “Orléans”. As are so many people, they seem to be quite ignorant of how members of the Royal family were named before the Revolution. The title “Prince (or princess) of France” never ever existed. Male members of the Royal family went by their title (“Mgr le dauphin”, “Mgr le duc de …”, etc…). Kings’ daughters were “Madame + Christian name”, i.e. “Madame Elisabeth”, Madame Louise”, etc… Other female blood members of the Royal Family were called “Mademoiselle” or “Mademoiselle de... (+name of a locality figuring in father’s titles)”. The name of the dynasty was “House of France”. When a junior branch came to the throne (as the House of Bourbon), they automatically became the House of France. Monsieur, duc d’Orléans (1640-1701) never was "prince” Philippe and, as son of a king was “Fils de France”. He never had the name of “Bourbon” and, as a result, never dropped that name (which wasn't his to begin with). Most people here on the Internet and even most historians seem to think that names before the 19th century mirror our modern names. In the case of the French Royal Family, they're utterly wrong, which leads to anachronism, misinformation and an inablility to properly understand History. Thank you, Lionel for such a clear and explicit response. I do wonder how a "royal" family, who have not been on the throne in over 200 years, when the republic specifically said they did not want a king, keep popping up with new titles of royalty- new dukes and princes and princesses, including titles not used back when there was a King. Those titles are indeed ridiculous today. I think members of this family should better use their real and legal names, i.e. Prince, or Princess, X of Orléans, which is perfectly fine and leaves no doubt, either, as to their status as members of the former royal family. But it's really of no consequence at all as absolutely nobody, in the general population, knows them or has ever heard of them. Archduke Rudolf - the latest news. What was George V thinking?